Important update: WW Smart Kitchen has stopped its operations. Its main supplier has gone into administration and the service is no longer able to fulfill orders. At the present time, there is no reliable information on whether WW Smart Kitchen will become available again in the foreseeable future. With Weight Watchers, it is all about losing weight the healthy way and being in control of what you eat and how much food you consume on a daily basis. You can keep enjoying the food you love while shedding pounds and progressing toward a more balanced diet and healthier lifestyle. 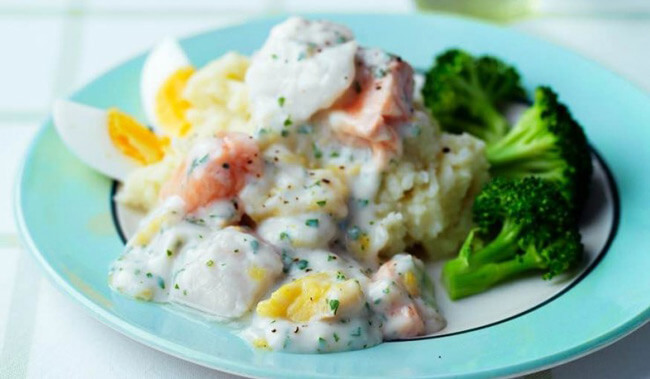 With Weight Watchers’ exclusive meal kit service called WW Smart Kitchen, attaining your weight goals is even easier. Learn more about what this service offers in this WW Smart Kitchen review. 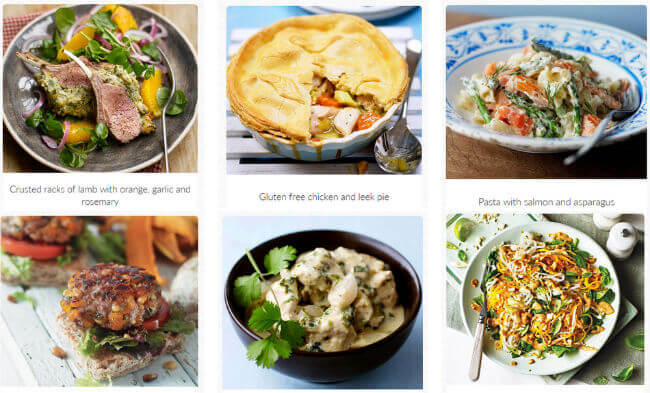 Designed to support and complement your Weight Watchers weight-loss plan, WW Smart Kitchen brings you amazing, healthy meals you can enjoy guilt-free. It is a subscription-based service that allows you to choose between two plans – the Classic plan for omnivores and the Meat-Free plan, which is suitable for vegetarians. Deliveries are made weekly. You can decide whether you want to order 3 or 5 recipes per week and whether you want to cook for 2 or 4 people. All recipes are dinner recipes, but if you are cooking for 2, you can order the 4-person box and use the recipes for lunch as well. The company is working on introducing dessert options in the near future. The subscriptions can easily be adjusted to fit your schedule. If you are going on a trip or simply have something else in mind, you can pause your subscription and reschedule your next delivery, choosing the date that works for you. You can also end your subscription at any time since there is no minimum term. WW Smart Kitchen is designed to facilitate weight loss in accordance with the Weight Watchers program. It allows you to take a break from calorie counting and rely on this service to provide you with the right meal choices, whether you are counting SmartPoints or you prefer no counting at all. SmartPoints are calculated based on the amount of calories, sugar, saturated fats, and proteins each meal contains. Calories, fats, and sugar increase the number of points while proteins decrease it. This way, WW Smart Kitchen directs you toward a diet that is richer in proteins, vegetables, and fruit but low in sugar and fat, which is sure to result in better health and fewer pounds. Each WW Smart Kitchen meal comes with information on SmartPoints, so you can easily keep track of your daily score. However, you can also opt for the No Count option, which allows you to consume as much of the healthy food recommended by Weight Watchers as you want. As already stated in this WW Smart Kitchen review, this is a unique meal kit service created by Weight Watchers to help you stay on track and form healthier eating habits. Keep in mind that weight loss will only occur if you stick to your plan and stay active, as the essence of the Weight Watchers weight-loss method lies in guiding you toward a healthier lifestyle, which consequently results in better shape and fewer inches on your waistline. In this section of our WW Smart Kitchen review, we will take a look at both of the company’s plans and explain in greater detail what kind of meals you can expect to find in your recipe boxes. Before we start talking about the plans individually, we will just briefly go over the range of meal choices you get every week. Regardless of the plan you opt for, you can receive 3 or 5 recipes handpicked by the WW Smart Kitchen team. However, if you happen to dislike a recipe, you can substitute it with a bonus recipe. The 3-recipe boxes bring you 1 bonus recipe while the 5-recipe boxes bring you 2 bonus recipes. You simply chuck out the recipe you dislike and replace it with the bonus recipe that better suits your taste. The Classic box brings you nutritionist-approved, carefully balanced meals that feature healthy ingredients from all food categories. You can look forward to protein-packed dishes featuring all kinds of meat, fish, and seafood, as well as an abundance of delicious and nutritious veggies. The recipes are quite simple and quick. The meals can take as little as 20 minutes to make. The weekly menus feature dishes that are always incredibly satisfying, like sloppy joe pizza, lamb kofta, ricotta-stuffed chicken with roasted veggies, and other delights. The Meat-Free box focuses on veggies but may also include dishes that feature fish or seafood. However, vegetarians have nothing to worry about, as only 1 or 2 recipes include non-vegetarian ingredients and these are usually the bonus recipes. That means that you can always receive a 100% vegetarian-friendly box. What is more, all the cheeses in the Meat-Free boxes are suitable for vegetarians. The recipes in this box are just as satisfying as the ones in the Classic box and may include such delicious items like creamy mushroom and spinach pasta, tofu and sweet chili noodles, and chunky veggie sausage and bean cassoulet. WW Smart Kitchen has hundreds of tasty and healthy recipes in its cookbook, so you can enjoy an incredibly varied diet. The recipes are best suited for omnivores and vegetarians who want to get fit. They are not designed to suit special diets like gluten-free, dairy-free, and the diets of people with severe allergies to nuts, crustaceans, soy, and other types of food. However, since you are the one in charge of the cooking, you can simply replace or discard the items you are allergic to. If you need some help, you can always turn to the WW Smart Kitchen staff for advice. The ingredients you receive in your boxes are organic whenever possible and they are all natural and locally sourced. Your boxes include nearly all of the ingredients the recipes call for. The ingredients that are not included in the boxes are the most basic of items you probably have in your pantry at all times: low-calorie cooking spray, salt, pepper, sugar, skimmed milk, eggs, flour, oil, frozen peas, and the like. The pantry items necessary for preparing the meals are indicated in each recipe. The prices of WW Smart Kitchen meals start at £3.15 per serving with the Meat-Free box and £3.25 with the Classic box. The price you pay depends on the number of people you cook for and the number of recipes you order. With the Classic box, you pay £30 for 3 meals for 2 people, which amounts to £5 per serving, and £45 for 5 meals for 2 people, that is, £4.5 per serving. If you are ordering the Classic box for 4 people, you pay £45 for 3 meals (£3.75 per serving) and £65 for 5 meals (£3.25 per serving). With the Meat-Free box, you get 3 meals for 2 people for £28 (£4.66 per serving) and 5 meals for 2 people for £43 (£4.3 per serving). The Meat-Free box that contains 3 meals for 4 people costs £43 (£3.58 per serving) while the Meat-Free box with 5 meals for 4 people costs £63 (£3.15 per serving). No matter which box you choose, shipping is free of charge. While WW Smart Kitchen strives to provide its healthy meal kits to everyone interested in giving the service a try, its boxes are not available in all parts of the UK. Currently, it does not deliver to certain or any locations within the following areas: Aberdeen, the Northern Highlands, the Republic of Ireland, Argyll, Guernsey, the Isle of Man, Arran, Orkney Shetland, Dundee, and Cornwall. More precise information is available in the FAQ section of the company’s official website. The boxes are delivered via DPD, Tuesday – Saturday, between 7 a.m. and 10 p.m. You can choose the day that works best for you, but DPD determines the time of your delivery. You do not have to be at home to accept the box. During checkout, you should just provide information about the safest place to leave your delivery. To make sure WW Smart Kitchen meets all your standards and expectations, it is important to know its biggest advantages and disadvantages. With a short overview of its pros and cons, you can easily decide if WW Smart Kitchen is the right meal kit service for you. WW Smart Kitchen is a premium choice for individuals who are trying to shed pounds but do not want to risk their health by going on restrictive diets that can have numerous bad consequences in the long run. This service helps you stay or get healthy and fit by switching to a more balanced and healthy diet. The recipes are delicious and easy, the prices are lower than we expected them to be, and shipping is free of charge. If you are looking to make a positive change in your life and your diet, we warmly recommend this service. Our ratings are the result of an objective and independent evaluation of WW Smart Kitchen, generating the final rating that reflects the overall quality of the company. Ratings may change as the service changes. WW Smart Kitchen customer rating based on 4 customer reviews. Already lost 8 pounds and counting! Only wish I started earlier, could’ve reached my goal weight years ago. I haven’t felt better in a while, so happy I discovered this service! Good food, but they should introduce breakfasts and lunches, maybe even snacks, would make things a lot easier. We found 0 verified WW Smart Kitchen discounts for April, 2019. There are no WW Smart Kitchen coupons or discounts right now.